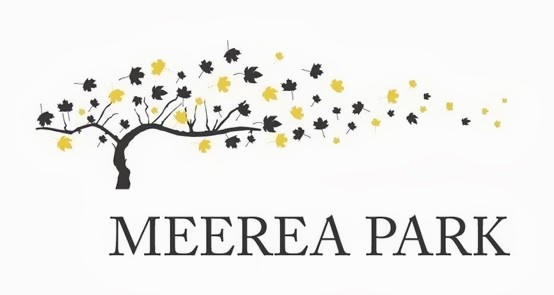 One of the Hunter Valley's most awarded boutique wineries, family-owned Meerea Park, will open its new cellar door in July in one of the Hunter's most visible locations;, the corner of Broke and McDonalds Roads. Owners of Meerea Park, winemaker Rhys Eather and his brother Garth, have been crafting fine Hunter Valley wines made with fruit from some of the region's best vineyards sites since 1991. Previously at the former Boutique Wine Centre site since 1997, also on Broke Road, Meerea Park closed that cellar door on 19 May, packed up all their prized wine collection and have headed to the much-visited Roche Complex which also houses Tempus Two Wines, where they will occupy and welcome guests to a renovated and refurbished 110 square metre space. The landmark complex is owned by the Roche Group who also own other popular tourist destinations in the area including the Hunter Valley Gardens. The complex attracts a regular stream of visitors, with other tenants onsite including The Smelly Cheese Shop, Oishi Restaurant, Goldfish bar and cocktail lounge, The Barrel Room and Tempus Two's own cellar door. 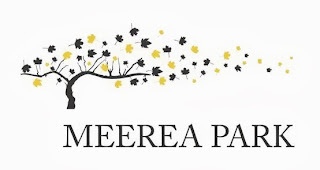 Whilst the Meerea Park winery is into its 23rd year, the winemaking history of the Eather family dates back more than a century. In 1850, Rhys and Garth's great great grandfather, Alexander Munro established Bebeah Vineyard in Singleton. The Eathers pay homage to their roots, with their wine label design featuring an illustration of an intricate gas lamp and fountain which Alexander had commissioned and shipped over from Scotland. Indeed the Meerea Park Alexander Munro range of wines, with shiraz, semillon and chardonnay, are the company's flagship and premium releases. The Terracotta range also offers exceptional drinking, with the 2006 Terracotta Semillon a winner of no less than four trophies in the 2012 Hunter Valley Wine Show. The move to a new space in the Hunter Valley is fitting for Meerea Park and in keeping with their approach to both respect the traditions of theirs and the region's winemaking history, whilst also offering new generations of visitors to the Hunter a tangible and fun wine and tourism experience. The Eather boys are also one part of Next Generation Hunter Valley – a collaboration between six fun-loving Hunter Valley winemakers who every year take their wines on a travelling road show up and down the east coast of Australia, keen to show the diversity and excitement surrounding modern Hunter Valley wines. Visitors are invited to samples across the selection of exciting Meerea Park wines from a team of knowledgeable cellar door staff at the new cellar door at 2144 Broke Road Pokolbin. Opening from 6th July 2013 and operating 7 days a week from 10am to 5pm.